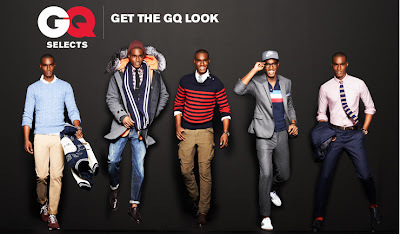 If my future husband is reading this, he better run to Nordstrom and stock up on this GQ Get the Look collection they are featuring. He may not BE Cam Newton, but at least he can dress like him. It's a step in the right direction, right? Swaggy, indeed. "One thing is conclusive: Cam Newton is that thing known as the Whole Package. On the field, a tantalizing glimpse of the One—a player who unifies the speed of the great modern running QBs like Michael Vick with the pocket skills of more traditional passers like Tom Brady. Off it, a star in the making." I drooled over the pictures when I first saw them this morning. 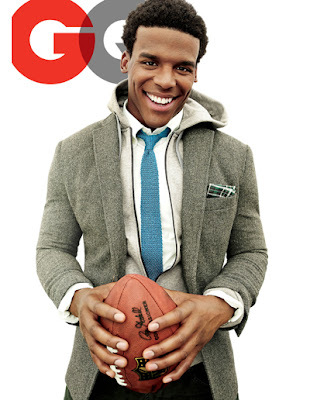 Do you think Lofton would object to a Cam poster in our bedroom?